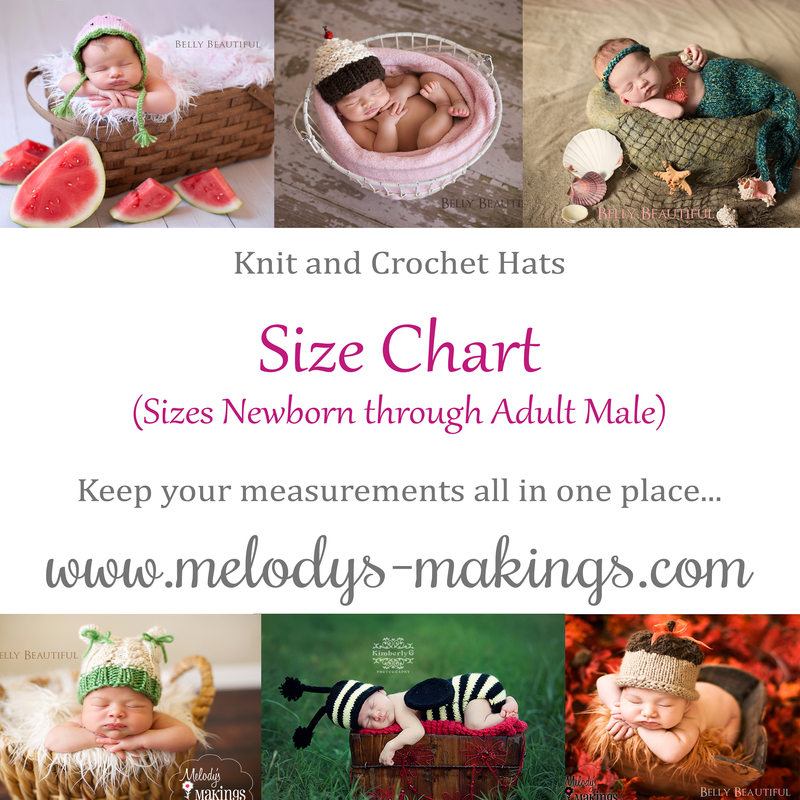 This is the Size Chart that I use for my average knit and crochet hats. After many requests for approx. sizing by my customers over the past couple of years, I’m finally getting around to making a universal size chart to direct people to. I never mind answering questions about sizing on specific hats or specific sizes, but I know how helpful it can be as a knitter and shop owner to have good universal resources to refer back to time and time again. This chart is basically a guideline…each style of hat may be slightly different on circumference or height for specific sizes. For instance, a ribbed beanie has tons of stretch to it, so I would be aiming slightly below the approx. hat circumference for a project like that. Another example is a color-work project. Color-work is just not stretchy….so I would want to aim for the larger end of the approx. hat circumference (or even the head circumference in some cases) to ensure that the hat would fit all sizes it is listed for. If you have a friend you think would benefit from this chart, I would be honored if you would share it with them!